No matter if you’re Wiz Khalifa, the Wu-Tang Clan, or just a normal sneakerhead, bold yellow is a great way to make a statement. 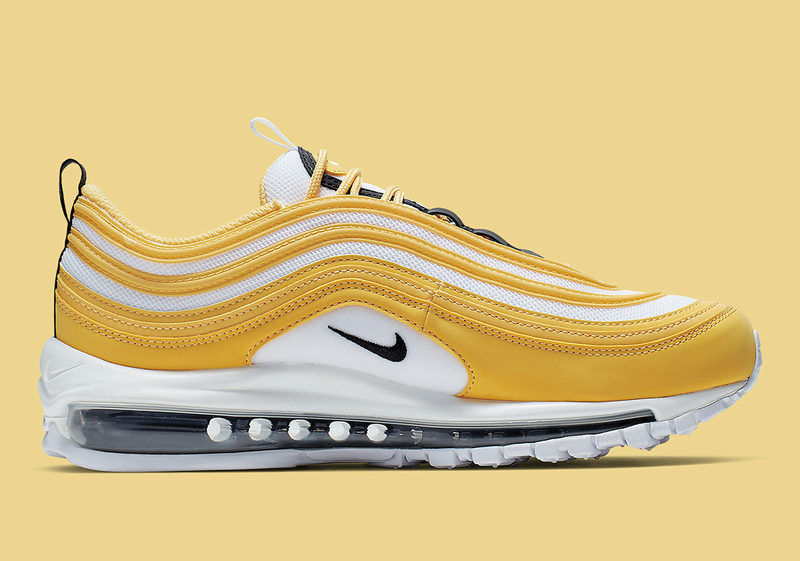 Now, Nike has brought a sizeable measure of the compelling shade to this ladies-only take on the Air Max 97 for the spring. 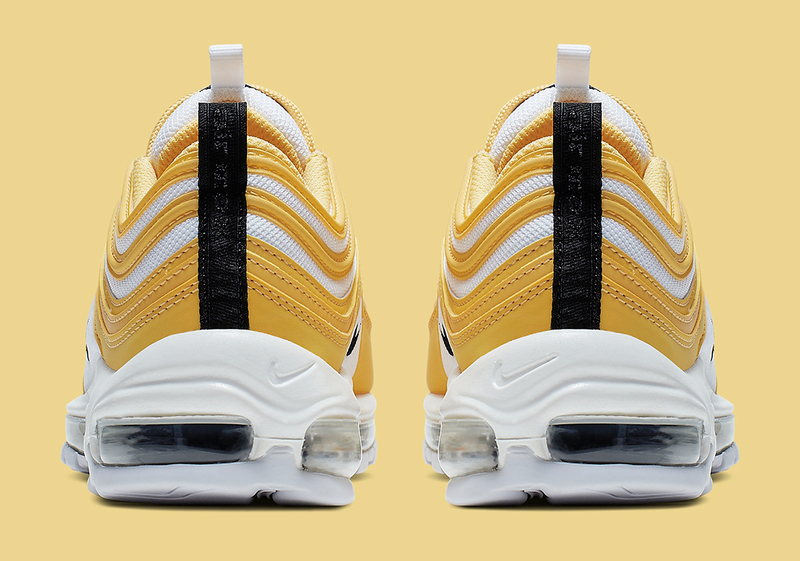 The ochre stylings appear on the mudguard, the upper’s swooping bullet train-inspired stripes, the laces, and the collar, while a simple and sporty white mesh serves as the base. Black accents then appear on the midfoot, throat, and heel tab for the sake of adding a little bit of dark contrast to the look. 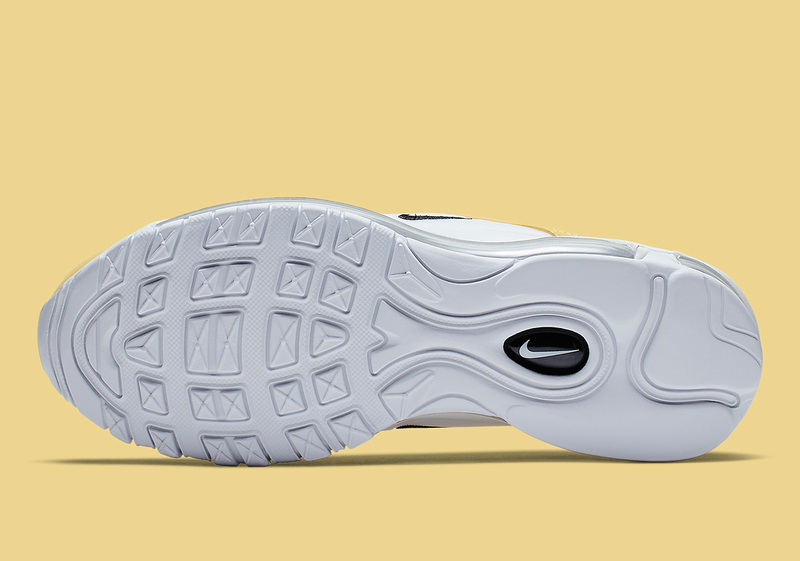 The bottom half then elects to keep it simple with a white midsole, black Air Max cushioning unit, and a soft grey outsole. Although it’s not the first classic Air Max silhouette to take on the bold tones this spring — the Air Max Plus received a somewhat similar makeover in weeks past — it still manages to present a compelling look; important as the 97 is unquestionably one of the Swoosh Brand’s most influential classic lifestyle silhouettes season after season. They’re available in Asia now and will come to Nike.com and select NSW stockists stateside soon, so check out a full set of official images below while you wait. 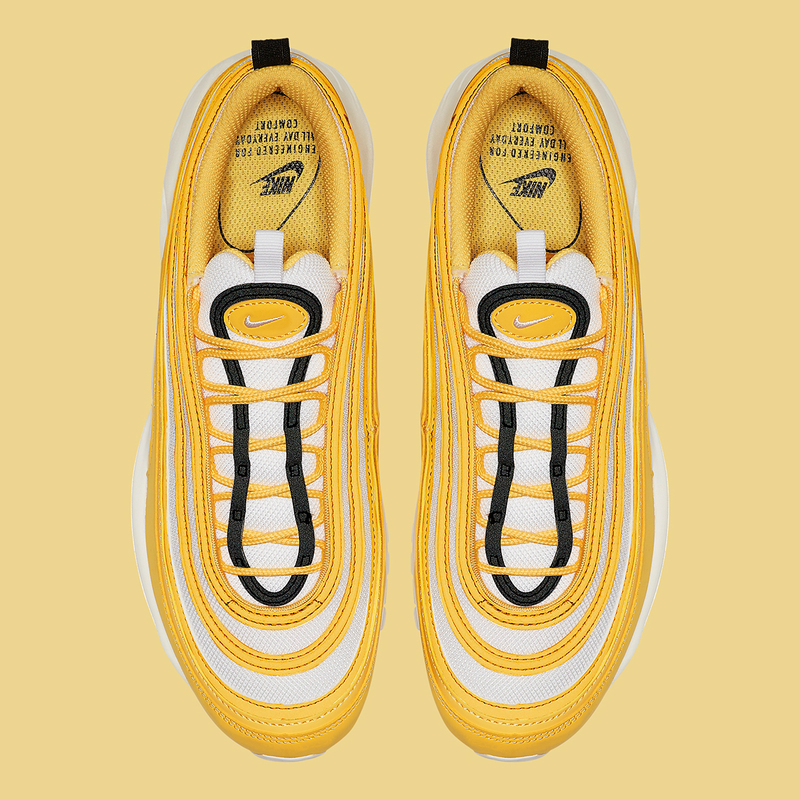 The post Taxi-Style Yellow Accents Come To The Nike Air Max 97 appeared first on Sneaker News.